Make eyes stand out with the Lord & Berry Ink Glam Liquid Eyeliner. The glossy black formula creates sharp definition with rich pigmentation. 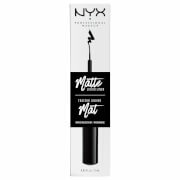 Easy to apply with a tapered tip applicator, this waterproof eyeliner is quick-drying for an intense and professional look. 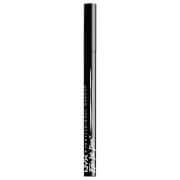 Directions: Use the tapered applicator to create a smooth line on the upper lashline. This really is amazing. Any other eyeliner I have used always ends up leaving that horrible moon print on my upper eyelid, even the really expensive ones. Believe me when I say that I have tried loads! So with this one, I use an eyelid primer, put it on at 7am and it's still perfect by 10pm! And I have oily lids. I wouldn't say it's the easiest to apply as I prefer a more flexible applicator but I put up with this because the liner itself is absolutely amazing. I have not tried this swimming so I couldn't say how waterproof it is. Originally bought this for a beach holiday, and it did the job perfectly - withstood sea and tropical storms better than any water-resistant make-up I've tried before (even Urban Decay). Really easy to apply, good colour, dries quickly. It does smudge a little bit if skin gets very oily, but overall I'm very impressed by this product and honestly can't go a day without it! 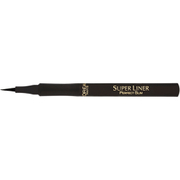 It is a very black, pigmented, waterproof and smudgeproof eyeliner. The application is very simple and stays on all day, I don't know about 24 hours, but for sure at least 12.